Alisha Yvonne has been writing since childhood and is something of a Memphis celebrity. 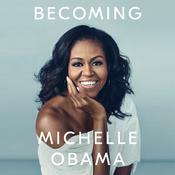 Her first self-published novel, Lovin’ You Is Wrong, came out in 2003, and in four short months, she was offered a book deal. Since then, she has written the Essence bestseller I Don’t Wanna Be Right as well as a host of other titles. Yvonne continues to reside in Memphis with her daughters.